Winter barely came and now it’s gone. So that means I’m on to thinking about my spring/summer knits! I’ve been excited thinking about what I want but also trying to strategically think about what I NEED in my wardrobe that I can make for myself. I’ve even been tempted to pull out my sewing machine because all I ever wear is the same a line dress all summer long with a sweater. We shall see. So I thought I’d share what patterns have caught my eye as I plan out my knit series of knitted items for myself. I saw this Rainbow Sweater on Free People’s website. It’s happy and cheery but it’s also $200. Nope. Instead I popped on over to Fibre Space and picked up several colors of Berroco’s Pima 100 worsted weight yarn and I intend to make an inspired by version of this sweater in short sleeves for summer. I think it’s a saddle shoulder style and I’m been itching to make another one of those so I just might start with an orange saddle on the shoulders and go from there. Second on my list is Cosette. 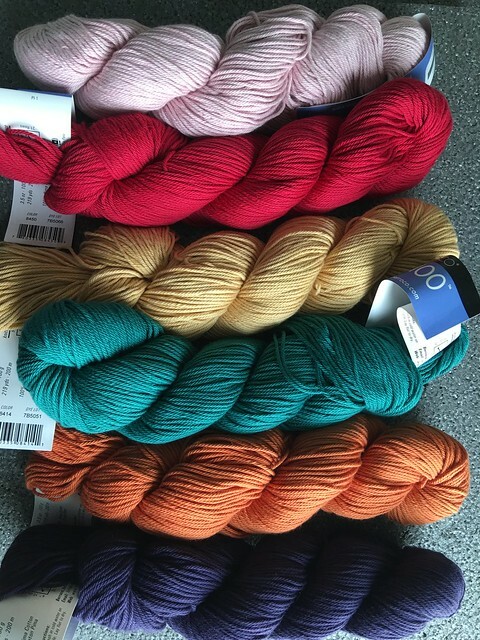 This is actually a pattern from the Berroco Pima 100 collection so I could buy more of that yarn but I’m also tempted to buy some of the modal/pima mix yarn on Knit Picks while it’s on sale this month. I love that it’s a simple tee but with a rounded hem. It has a classic look so I could make it in a lovely white or go with a super bright pink or a great yellow. I haven’t made up my mind yet on what color. For a little bit of interest, I was thinking about making the Radian Yoke Tee. I think it would be a great basic but with a cool open design at the yoke. Again, also not sure about what color to make this one. I always need a cardigan for my sleeveless dresses and I was considering making the Myrna cardigan in white. I need an updated white cardigan for summer and this might be the perfect little option. I was also thinking about making my Sea Grass cardigan again but in all white this time. And last but not least, what about another Togue Pond tank? 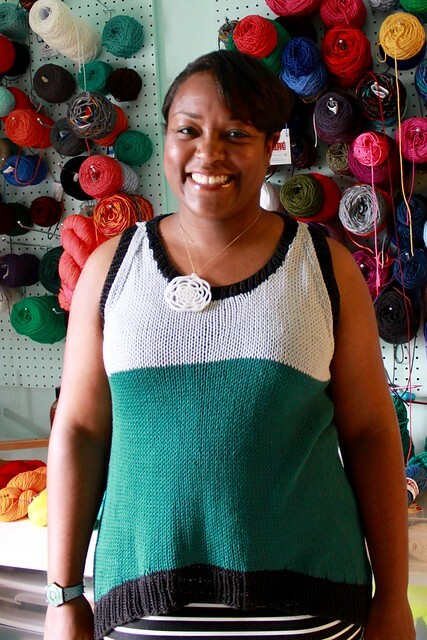 You know I love this pattern and it’s a perfect summer top made with Berroco Modern Cotton. So that’s what I’m thinking about for my spring/summer wardrobe. Is anyone else planning too? I’m still trying to squeeze out my winter projects, and then there’s that Burberry sweater… But I definitely have a couple of projects for the spring/summer on my mind. Nice queue. AWESOME!!!! I LOV all of those!!! When I grow up I want to be as organized as you .. . I’m still plowing my way through requests I got over the winter and all my ‘WIP’s’ from the winter! Rock on DWJ, you are a knitting INSPIRATION! I love those colours you came up with for the rainbow sweater! I’ve got some lovely silvery-pale-blue polished cotton that I’ve been trying to match with a tee shirt for a few years now. Maybe this will be the year! Looking forward to all your FOs for the coming season.